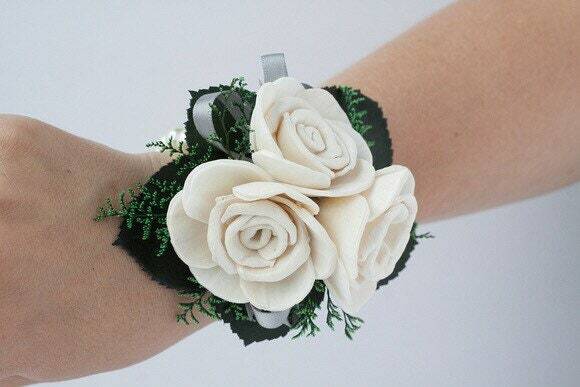 This wristlet corsage is perfect for weddings, proms, mother’s day & other special events. 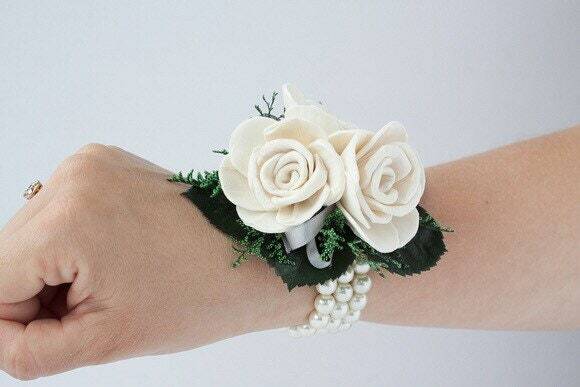 Unlike fresh flowers, this corsage can be kept as a keepsake after the event. 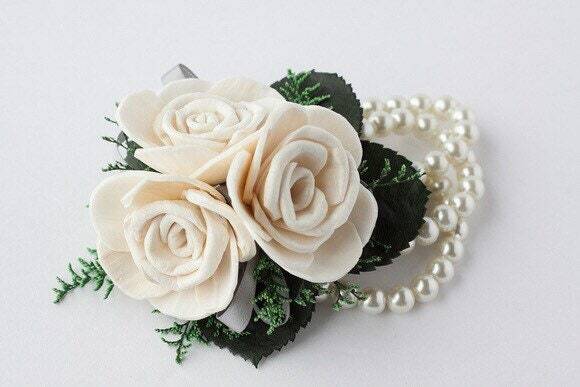 The beaded wristlet is embellished with three maria sola flowers, preserved foliage, caspia and ribbon. 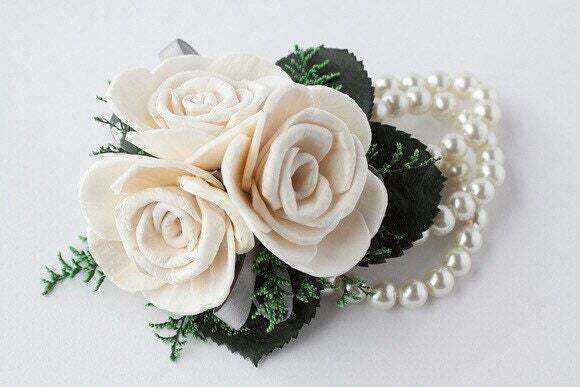 At checkout you may choose your ribbon color and the option to include rhinestones. They look nice. The flowers look a little different than i thought but overall good quality. 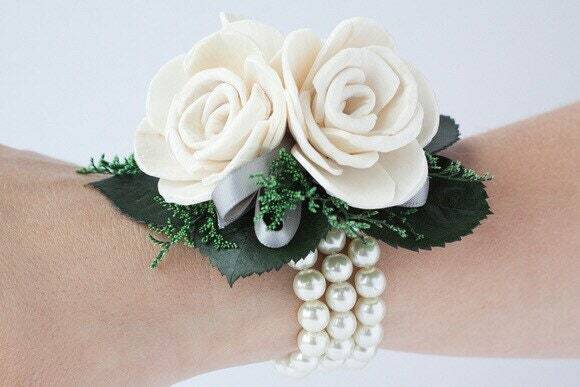 The pearl bracelet is great.